On this site, you will be able to download your free DIY copy of Brexit: The Board Game. All you need is a printer, paper, and a pair of scissors – and a bit of spare time. If you are a true gamer, you can purchase the ‘proper’ board game version online below. It’s classy, a collector’s item, and will last longer. But we appreciate that board games are quite costly. In particular, for teachers, you might want to buy one demonstration set and have the class make and play with several of these copies. That way everyone can see how it works, and then everyone can have a go for themselves - without the school or college budget taking too much of a whack. The game itself runs on three levels. Each player is randomly assigned an objective, which is measured by points. They then scramble to get points cards into the Brexit deal. Sometimes the negotiation tensions escalate and Parliament gets involved. And then there’s the risk that someone goes and triggers another referendum. But what will your strategy be? 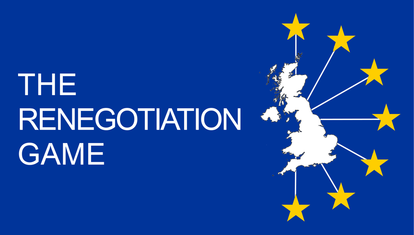 Can you do a better job that the negotiators? Can you put together that elusive majority in Parliament to get your deal through? Or will the scrapping become so bitter that everything collapses in acrimony, and there’s a genuine cliff edge everybody hurtles off? An educational and Machiavellian game for 2-4 players, designed by political experts. How sneaky a politician and tricksy a diplomat are you? ​Test your hand with this free printable, once-topical game for 2-6 players.